Ms. Laster, a Sphinx Symphony Orchestra member, has played internationally with musicians like Anthony Braxton, Aretha Franklin and Alicia Keyes. 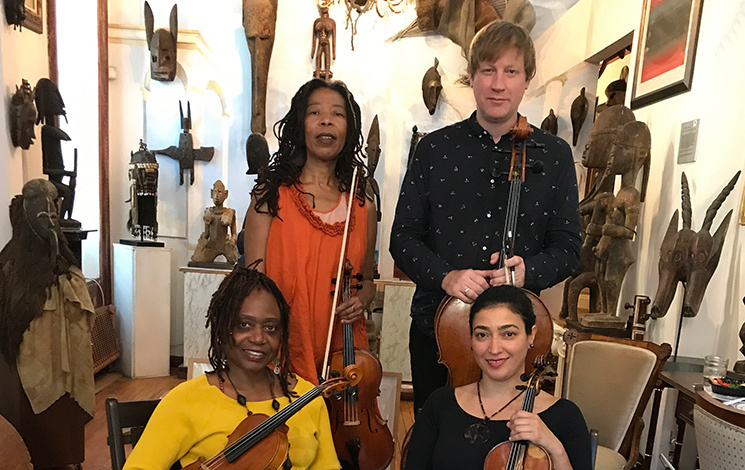 Her New MUSE 4tet, for ages 8-22, features music by composers of color in an interactive presentation utilizing spoken word and weaving improvisation into its theme of No Racism, No Hate, No Fear. These interactive concerts, long a Maverick tradition, are designed for enjoyment by children in grades K-6. Admission is free for all young people under 16. Adults pay $5 each at the door. The 2019 Young Mavericks Festival is dedicated in loving memory to our friend and Trustee, the late Erica Chase-Salerno.